THIS WEB PAGE IS ALSO AVAILABLE AS A PODCAST HERE. Do you sometimes feel like you’re carrying the weight of the world on your shoulders? Imagine how Jesus felt carrying His heavy cross on the road to Calvary! This Prayer to the Shoulder Wound of Christ provides a good backdrop for Lenten reflection on His Passion, although it may be said at any time during the year of course! O Loving Jesus, meek Lamb of God, I a miserable sinner, salute and worship the most Sacred Wound of Thy Shoulder on which Thou didst bear Thy heavy Cross, which so tore Thy flesh and laid bare Thy Bones as to inflict on Thee an anguish greater than any other wound of Thy Most Blessed Body. I adore Thee, O Jesus most sorrowful; I praise and glorify Thee, and give Thee thanks for this most sacred and painful Wound, beseeching Thee by that exceeding pain, and by the crushing burden of Thy heavy Cross to be merciful to me, a sinner, to forgive me all my mortal and venial sins, and to lead me on towards Heaven along the Way of the Cross. Amen. 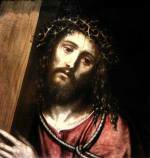 St. Thomas Aquinas once noted, quoting St. Gregory, that in meditating on our Lord’s Passion, we could derive strength in knowing there was no trial we could not bear with equanimity compared to what He suffered. It is also important, perhaps crucial these days, to note just how much God loves you, enough to have undergone so much pain and suffering so that each one of us, including you, might have eternal Life! He told the saint that he would grant those who honored this Wound with their devotion whatever they would ask “through its virtue and merit”. And, what’s more, He would remit to all who venerated it all their venial sins and would forget their mortal sins as well! Keep in mind, as many of us saw quite jarringly in the famous Mel Gibson film The Passion of the Christ, the many of crucifixes we can purchase and normally find displayed in churches are “cleaned up” versions of the real thing! Our Lord was one big gaping open wound from head to toe by the time he got to Calvary. He had been treated like a veritable human Piñata in His scourging and in other blows inflicted upon Him on the way there! 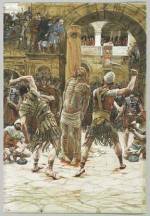 As Jesus told Sister Josefa Menendez in one of His many private revelations to her in the 1920’s, after His scourging he was “reduced to such a state of pitiful disfigurement as to no longer resemble a human being.” After that, His executioners, he told her further, “devoid of every human feeling of humanity, now placed a hard and heavy cross upon my lacerated shoulders” (emphases mine). 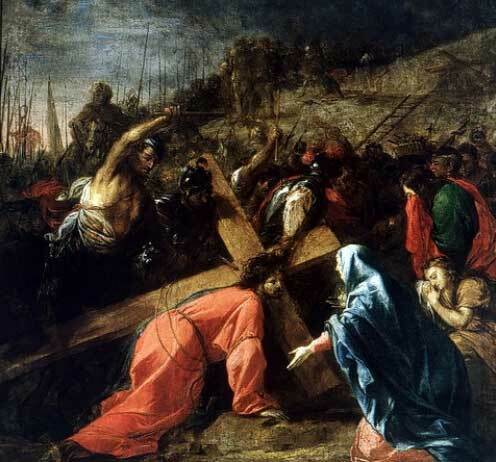 The 19th century Mystic Anne Catherine Emmerich observed in several of her visions of our Lord’s Passion that Jesus “was covered with open wounds, and his shoulders and back were torn to the bone by the dreadful scourging he had endured”. Also, that “His chest was torn with stripes and wounds, and his elbows, wrists, and shoulders [were] so violently distended as to be almost dislocated”. Finally, we have this observation from her vision of our suffering Lord when He was crucified “There was a frightful wound on the shoulders which had borne the weight of the Cross..” Unlike His more noted wounds on his feet, hands, and side (John 19:34; 20:27) this one as He said, was not recorded but that didn’t make it any less painful! The cross indeed became the Key to Heaven, to open up its gates for those who would honor not only His Wounds and His Sacrifice but His Commandments through love, obedience, and repentance. Availing ourselves of the sacraments of the Eucharist and Penance (Confession) are a great way to honor our Lord as well, along with following Him in how we conduct ourselves in our thoughts, words, and actions! When the Mass text was revised under the pontificate of Pope Benedict XVI, a noteworthy change was made to the Eucharistic Prayer, one more in keeping with Christ’s original words at the Last Supper (Matt 26:28, Mark 26:24). Instead of His Blood being shed “for you and for all so that sins may be forgiven” the priest now prays “for you and for many, so that sins may be forgiven”. While this text may seem a little harsh at first, it acknowledges nonetheless that Christ’s “sin offering” of Himself at Calvary for our salvation is a gift that we are free nonetheless to accept or reject. It’s up to each one of us to choose a blessing (in following God) not a curse (by turning away from Him) as Moses urged his people in the book of Deuteronomy (Deut 11:26-28 and 30:19). While God ardently desires each one of us to be saved we should never take our salvation for granted. 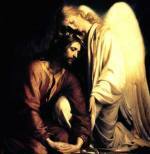 As St. Paul also once wrote “let him who thinks he stands take heed lest he fall” (1 Cor 10:12). May meditating on Christ’s Passion through prayers such as this one strengthen your faith and your resolve not to be among those for whom our Lord’s Sacrifice was in vain. And may we all be among multitudes of “many” to share Eternal Life with Him in Heaven!